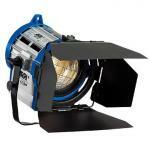 Odyssey 7Q ready for rental this winter! Tired of shooting H.264 or working with AVCHD codecs? Come in an try using our new Odyssey 7Q today. Shoot 4:2:2 ProRes directly from you DSLR, C100 or video output. Comes with two 256GB solid state drives. Great for long indie shoots. Wednesday January 21st, 2015. Doors at 7pm. *No membership required to attend. Membership required to show. Got cabin fever? Get out of your house and into Trinity Square Video! Show us your old stuff, your new stuff or just tell us about what you’re working on. Food and hand-sanitizer provided! Trinity Square Video will be closed for the holidays from December 22nd – January 5th. We will reopen on Monday January 5th at 10 AM. Attention Members: January is Screen Month at Trinity Square Video! We will have the gallery set up as a screening room and we welcome bookings from members in good standing who would like to rent the gallery for an evening screening. Space is available from January 10th – February 6th and can be rented for $50/event pending approval. Please e-mail programming@trinitysquarevideo.com with you requested booking. Ontario Trillium Foundation & Han Dong MPP visit TSV Open House. Please join us for an artist talk on the closing night of Will Kwan’s If All You Have is a Hammer, Then Everything Looks Like a Nail. This will be your last chance to view the show, so we will be running the piece for the hour leading up to the talk and for one final viewing afterwards. You are invited to join us November 25 between 6pm – 9pm for an Open House as we celebrate our members and acknowledge the support of the Ontario Trillium Foundation. Gendai, Reel Asian Film Festival and Trinity Square Video opened the newly commissioned work by Toronto-based artist Will Kwan. Titled, If All You Have is a Hammer, Everything Looks Like a Nail, Kwan’s new work forms a part of Gendai’s Model Minority program. Instructor: Nasser Mroueh, Broadcast Representative from Whites Digital. Light refreshments at 6:30pm / Tech Talk, 7pm – 9pm. Instructor: Ken Thasan, Broadcast Representative from Whites Digital. The imagineNATIVE Film + Media Arts Festival, the National Film Board of Canada and Trinity Square Video open ICE FISHING in TSV’s Gallery Space. The Trinity Square Video Board of Directors is excited to announce a new member of the team! Trinity Square Video is proud to offer heavily subsidized shared studio space for video and media artists. 24/7 access to a work space shared by up to eight participants. Compensation: Yes. Project honorarium for 1.5 day shoot and 0.5 day rehearsal.